The Talking Stick is a Minnesotan collaboration of poetry, creative nonfiction and fiction and awards a cash prize in each category. It is written and entirely produced by writers who at least have close ties to Minnesota. There is no reading fee and we work daily to keep it that way – come over to our official website for The Jackpine Writers’ Bloc to find out more about our non profit organization. We survive entirely on donations, grants and book sales to bring you the Talking Stick every year as well as workshops and writing events. 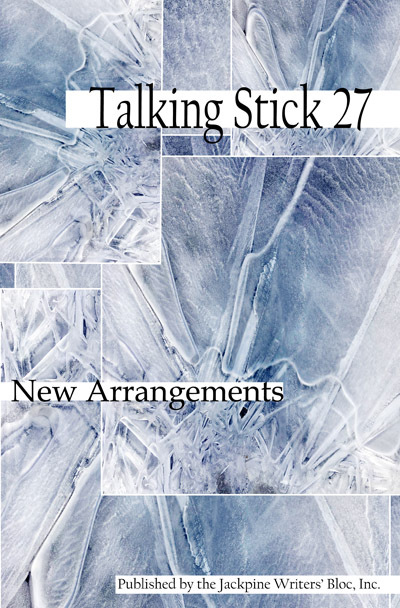 Go the Jackpine Writers’ Bloc website to submit to this or next years Talking Stick. Our submission guidelines usually come out by January 1st of every year and close in March.